The future of food will include less meat, but it will be no less delicious. 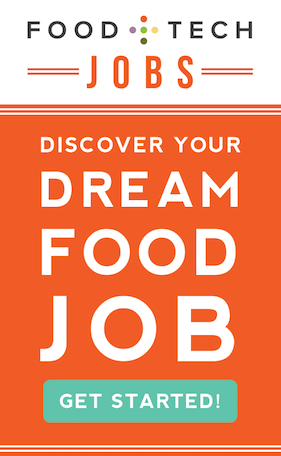 As a research company supporting some of the best chefs and bartenders in the world, we often get challenging requests from food professionals. Over the last few years, we have seen an increase in requests concerning meat. Driven by a passion for delicious food, we don’t want to compromise flavor, so we try to find solutions combining insights in food, flavor and technology. So, how can we create dishes with less meat but are no less delicious? How can we support the flavor of aged meat as less meat, but improve the quality of meat served? How can we replace meat with other ingredients to create vegetarian meaty-tasting dishes? 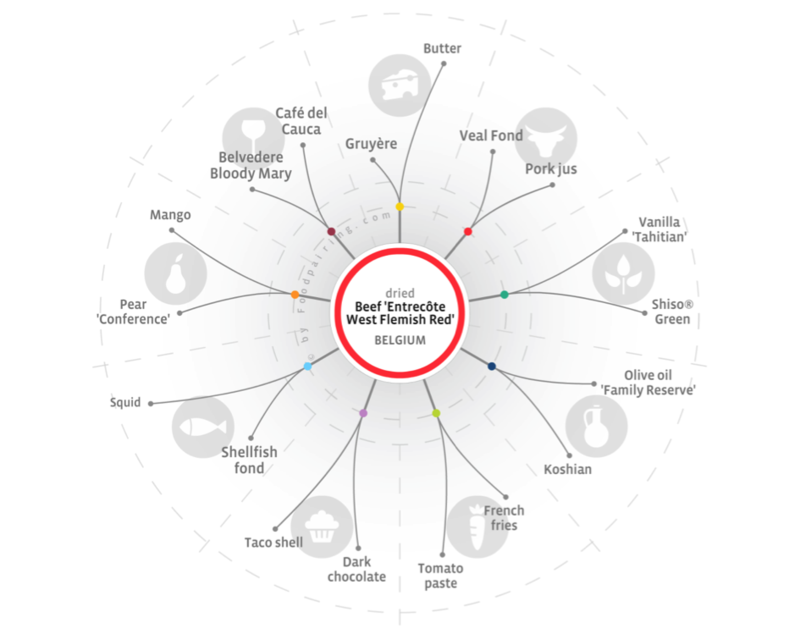 A Foodpairing tree is an interactive visualization that provides one overview of all the possible combinations you can make with a particular ingredient. The ingredients are clustered in food categories and each branch represents a different category like dairy, meat, herbs, spices, etc. 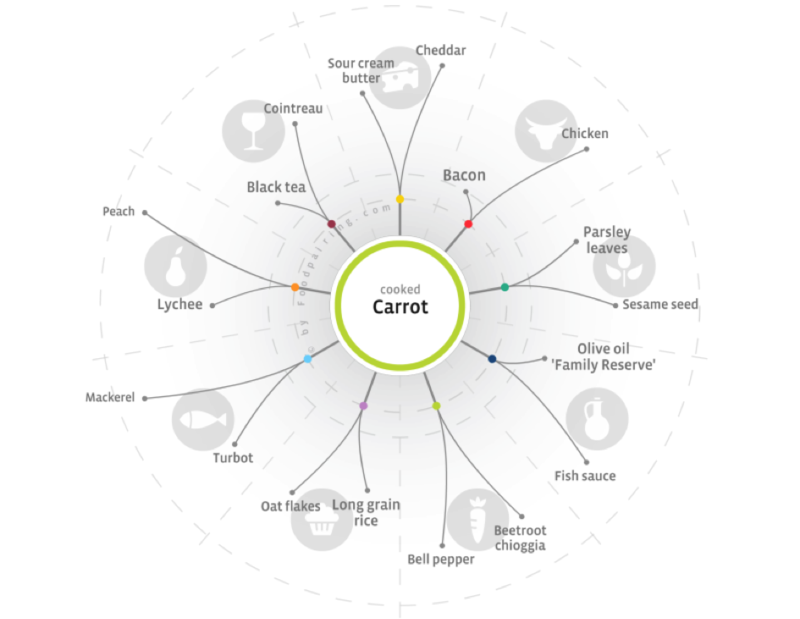 In a Foodpairing tree, your selected product is positioned at the center and all around it are products that it can be combined with. The closer a product is to the center ingredient, the better the pairing. 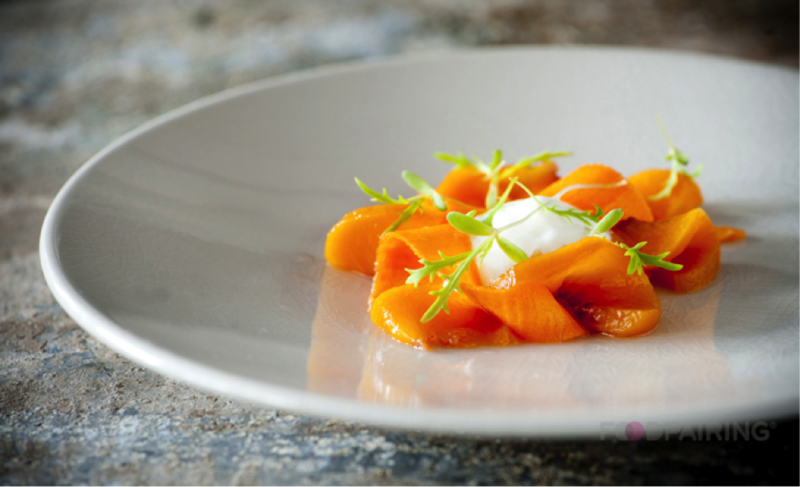 So instead of starting to create a dish based on meat, the idea is to start with a vegetable, like a carrot. As you can see, a carrot can be combined with e.g. peach, olive oil, bacon, etc. We started a program to analyze more specialty meats at the request of butchers like Hendrik Dierendonck, who revived an old variety of beef: ‘westvlaams rood rund.’ We found that ingredients like Gruyère will support the flavor of this beef. The flavor molecules of an ingredient are not unique to that specific ingredient. Basil doesn’t taste like basil because there is only one basil flavor, but because there is a blend of flavor molecules, many of which you can also find in other ingredients. The same is true for meats like chicken. The flavor of chicken contains about 20 important flavor molecules, some of them you can find in coffee, bread, potato, mushroom, etc. The video below shows how we made a vegetarian dish with the flavor of chicken without using any chicken, but by combining chocolate, textures from pine nuts and mushrooms. Bernard Lahousse has worked as a research and development manager at several food companies and as a consultant for innovation processes for various global enterprises. Lahousse organized already 3 Foodpairing events (ranked as one of the most innovative culinary events worldwide) where several of the world’s greatest chefs, including Heston Blumenthal, Albert Adrià,… discussed how they use Foodpairing.com for their own creations. 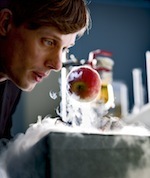 In 2009 Lahousse’s passion led him along with Johan Langenbick and Peter Coucquyt, to start the Belgian-based food research company, Sense for Taste. The company’s mission is to develop methodologies to support chefs in their creativity and create tools for more efficient new product development. Here, Lahousse puts his bio-engineering degree to good use as the company’s science director. This is fascinating and wonderful. I am going to dig into this a lot more! Hi Isha, we are thrilled you are enjoying the conversation and that you will be joining us for the hackathon. What is your background? Pingback:	Global Tech Review | Hacking Meat: Can technology make us eat fewer animals? 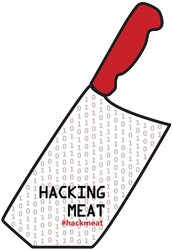 Pingback:	GIASTAR – Storie di ordinaria tecnologia » Blog Archive » Hacking Meat: Can technology make us eat fewer animals?